Budapest, Hungary - Nyar Utca 6. 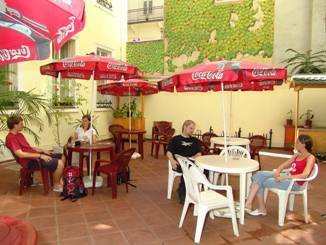 What makes the Hostel Marco Polo attractive to our guests? The location of the hostel, friendly and professional staff, our prices, and the extra services that we offer distinguishes us from any other hostel in Hungary. Rooms All of the single, twin and 3- 4-5-bedded rooms are equipped with telephone, TV and bathroom. All our rooms are equipped with single beds but they can be pushed together if needed! 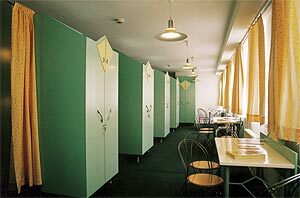 Bed linen and towels are included in the above mentioned rooms. 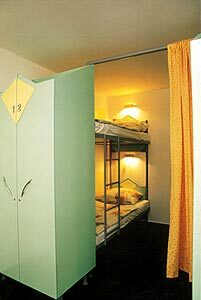 Dormitories are 12-bedded rooms, where the beds are separated by a wooden wall and a curtain with dedicated bathroom. Downtown location in the heart of the city. If you do not cancel your reservation 24 hours before arrival date 1st night of accomodation is to be charged. At the airport please catch the bus nr. 200 to Kőbánya-Kispest. Get on the Metro, you get off at Ferenciek tere and then take bus 7, 5 or 173 east (away from the river) to Urania utca. Walk on to the crosswalk and turn down Nyár utca. The hostel is directly ahead on the left. Take Metro 2 (red line) to Blaha Lujza tér (1 stop) then exit the metro onto Rákóczi út and walk West (away from Keleti). 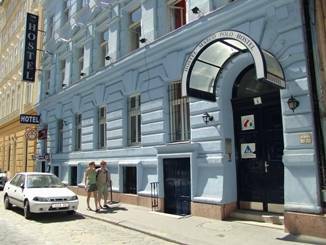 Take the 3rd street on the right and the hostel is directly ahead on the left side of Nyár utca. Or take bus 7 (not red 7), 7A or 78, 3 stops to Kazinczy utca. Walk back one block and turn left onto Nyár utca. Minibus service from/to Airport on request at a cheaper price!